La Muralla is the only gay cruise club in Ibiza Town, with dress codes and various themed parties. The bar is open every night of the week in the summer (May-September) and weekends in October. This ‘no attitude’ men-only bar charges reasonable drink prices and, whilst having strict dress codes, welcomes everyone regardless of age, size or appearance. Entry fee of 12€ includes one drink. Located inside Dalt Vila ramparts (ironically, just a few steps from the local monastery). Easy to find – walk up the main ramp from the town into Dalt Vila. Once inside, turn 180° and walk up the hill with the ramparts on your left. La Muralla is on the right at the end of this street. Josh on 09-Oct-2016 | Reply	Problem with this review? “I m really tied about this style of comments. Stupid people who send bad reviews just because they don't had success. 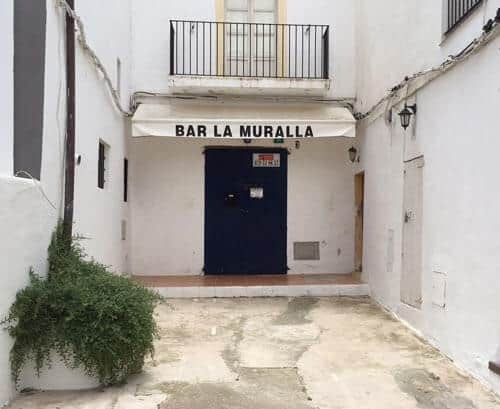 La Muralla it's the only cruising club en Ibiza. We have to enjoy it. La Muralla offer different areas with more or less light. Every one can find the best for him. Eric on 30-Sep-2016 | Reply	Problem with this review? Visitor on 23-Sep-2016 | Reply	Problem with this review?